By Lewis Mudge, (June 11, 2016). Human Rights Watch. 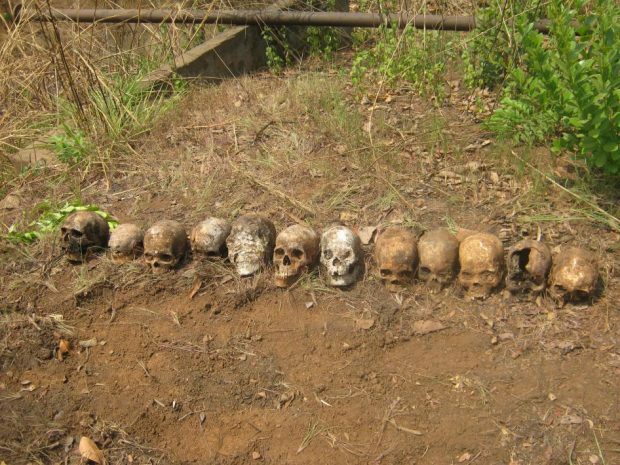 Twelve skulls discovered in a mass grave in February 2016 near a peacekeeping base in Boali, Central African Republic. The victims are believed to be individuals who were summarily executed by Republic of Congo peacekeepers on March 24, 2014. (Photo" © 2016 Private/ HRW). Soldiers from the Republic of Congo killed at least 18 people, including women and children, between December 2013 and June 2015 while serving as peacekeepers in the Central African Republic. A mass grave recently discovered near a peacekeeping base in Boali, and exhumed on February 16, 2016, uncovered the remains of twelve people, who have since been identified as the families who were forced into the back of trucks and taken into detention by the peacekeepers back in March 2014. That was the last anyone saw them alive. On June 2, 2014, Human Rights Watch published information about the enforced disappearance of these victims in Boali, calling for action by AU authorities under whose auspices the peacekeeping mission was deployed. The following month, the MISCA force commander temporarily suspended the commanding officers from Boali and Bossangoa, Captain Abena and Captain Mokongo, and men under their command were redeployed to other parts of the country. Two years after Human Rights Watch first reported on enforced disappearances by peacekeepers from the Republic of Congo, their government has taken no action toward credible investigations or justice for these crimes, said Human Rights Watch in their report. 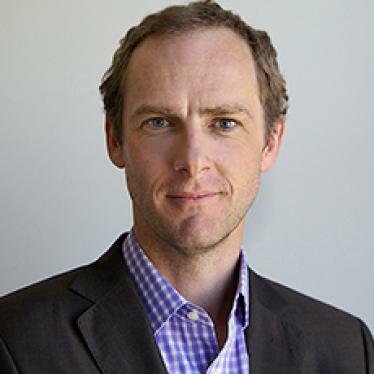 Lewis Mudge, Human Rights Watch. (Photo: hrw.org). The exhumation of the bodies refutes the peacekeepers’ previous claim that “the victims had escaped”. Under the status of mission agreement between the Central African government and the AU, troop-contributing countries are responsible for holding to account members of their forces for any crimes committed in the Central African Republic. On July 4, 2014, Human Rights Watch wrote to the foreign minister of the Republic of Congo informing him of the findings and to El Ghassim Wane, then the AU Peace and Security Department director, urging investigations and accountability for the crimes. There was no response. These crimes took place while the peacekeepers served in the African Union (AU) peacekeeping mission, known as MISCA, and in the United Nations peacekeeping mission, known as MINUSCA. The bodies were badly decomposed, but their clothing and other distinctive items identified the victims as members of a group of at least 12 people the Congolese peacekeepers arrested on March 24, 2014. Those arrested had subsequently disappeared. Human Rights Watch investigated the disappearances in Boali four times between May 2014 to April 2016. Human Rights Watch informed both UN and government authorities of the presumed location of the grave, which was about 500 meters from a MINUSCA peacekeeping base. Yet AU peacekeepers, UN peacekeepers, and national authorities made no effort to protect the site, or to conduct a forensic exhumation to preserve evidence for future judicial proceedings. Angered by the death of their colleague, the Congolese peacekeepers surrounded the anti-balaka leader’s house, arrested him and at least 12 others, including five women, one of whom was six months pregnant, and two children, one about 10-years-old and the other seven-months old. Witnesses told Human Rights Watch that the detainees were taken to the peacekeeping base at about 7 p.m. and confined in villa number 6, used by a commander identified by witnesses as Captain Abena. The peacekeepers ordered civilians who lived at or near the base to go inside their homes. Later that night, witnesses heard screams and a volley of gunshots from an area near the villa on the other side of the road, followed about an hour later by another round of gunfire from the same location. One witness said he overheard a heated debate among the Congolese peacekeepers between the two rounds of shooting about whether to kill the women and children, followed by the second round of gunfire. In September 2014, when the United Nations took over peacekeeping responsibility from the AU, UN officials insisted that all existing Congolese peacekeepers be rotated out of the Central African Republic and replaced with new soldiers to ensure that none of those responsible for the abuses became part of the UN mission. The UN sent a number of diplomatic communications to the Congolese government in Brazzaville urging judicial investigations into the serious allegations. Little or no action was taken either by the AU or the Congolese government. MINUSCA’s mandate includes providing support to the national police and judicial institutions. While prosecutorial jurisdiction for crimes committed by the peacekeepers lies with the Republic of Congo, in the absence of any action by Congolese judicial authorities, national authorities in the Central African Republic with support from the United Nations should begin their own investigations to seek accountability for the crimes, Human Rights Watch said. On February 4, 2016, Human Rights Watch also published a report on sexual exploitation and abuse of women and girls by Republic of Congo peacekeepers, among others, in Bambari from mid-September to mid-December 2015. The AU, the UN, and judicial authorities in both Congo and the Central African Republic should work together to ensure there is full accountability for these crimes and to prevent such crimes from happening again, Human Rights Watch said. On March 24, 2014, Congolese peacekeepers went to investigate shots they heard coming from the home of an anti-balaka leader known as “General” Maurice Konoumo. (In June 2014, Human Rights Watch erroneously reported Konoumo’s name as Mokono). When the peacekeepers tried to confiscate the weapon, Konoumo, who was drunk, refused to hand it over and a violent argument broke out. A respected local Catholic priest intervened to help calm the situation. Shortly afterward, a group of anti-balaka fighters attacked a MISCA vehicle near Boali’s central market, throwing a grenade and opening fire with automatic weapons. The attack killed one Congolese peacekeeper and wounded four others. and Derek Yawete, a 10-year-old boy visiting from Bogangolo. The Congolese peacekeepers took the detainees to their base at ENERCA and held them at Captain Abena’s villa. The peacekeepers ordered all civilians who lived at or near the base to go inside their homes. I saw a vehicle go down into the camp with people in it. I could not see who it was, but the people were civilians. They were not MISCA soldiers. We stayed inside for a few hours, then around 11 p.m. we heard many shots and screams coming from near the Captain’s villa. An hour later I heard another volley of shots. We heard the discussion between the volleys as to whether to kill the women and children. Around 1:00 a.m. I saw their vehicles driving through the camp. After the execution, the Congolese peacekeepers cleaned their truck with water from a pump near their villas, said witnesses Human Rights Watch interviewed in June 2015. No information about this investigation has ever been made public. In March 2015, AU officials told Human Rights Watch that a report had been drafted, but they were not at liberty to disclose its contents or conclusions. When UN human rights investigators in March 2015 investigated the crimes committed by peacekeepers in Boali and in Bossangoa, they confirmed that MISCA’s Congolese contingent had committed enforced disappearance, torture and extrajudicial killings. The local non-governmental organization exhumed the grave on February 16, 2016 in the exact location indicated by the accounts given to Human Rights Watch. Local residents informed the organization, whose responsibilities include removing corpses from wells and other water sources, about the mass grave, and the group received permission for the exhumation from local authorities. The exhumation took place in the presence of local authorities, including a representative of the national police, who described the exhumation in his police report as one of “anti-balaka [who] were kidnapped by MISCA, killed and buried here.” No forensic experts were present. The exhumation revealed 12 skulls, clothes that matched the individuals who had been reported missing in 2014, and a number of anti-balaka amulets that had been worn by the general and his fighters. Those present at the exhumation said they did not believe the baby’s skull was found, although one of the skulls, significantly smaller than the rest, was thought to be that of a 10-year-old boy. 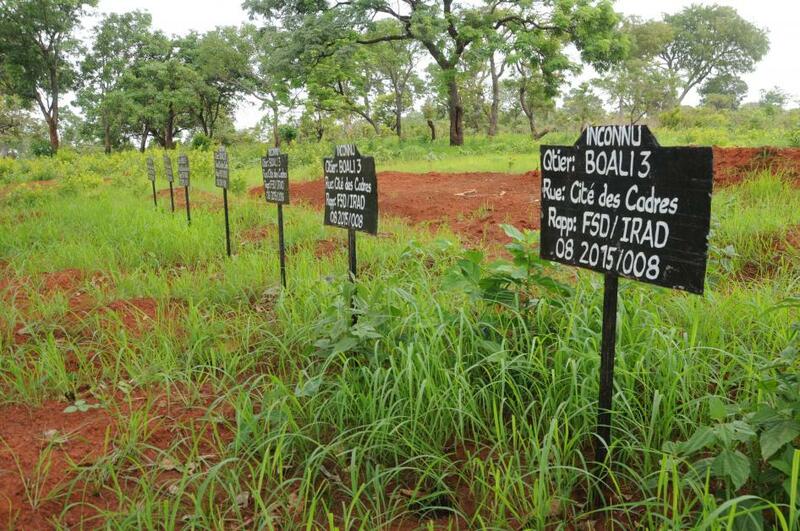 New graves dug on the outskirts of Boali, Central African Republic, for the remains of at least 12 people murdered by Republic of Congo peacekeepers on March 24, 2014. The victims’ remains were uncovered in a mass grave near the peacekeeping base in February 2016. (Credit: © 2016 Lewis Mudge/ HRW). Another said: “We first found gris-gris(traditional amulets associated with the anti-balaka), then some clothes, and then the bodies.” One person who took part in the exhumation, a former anti-balaka fighter from Boali, recognized Maurice Konomou’s jacket. After the exhumation, the bodies were moved to new graves approximately two kilometers outside of Boali in an isolated location. On December 22, 2013, Congolese peacekeepers tortured to death two anti-balaka leaders in Bossangoa following the brutal lynching of a Congolese peacekeeper the same day. 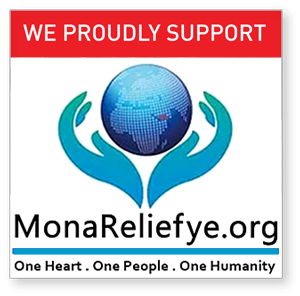 The incident, was first reported on by Human Rights Watch in June 2014, although it was witnessed by many local UN staff members and aid workers who were staying at the MISCA base at the time for their safety. Locked in a staff room during the incident, the UN staff and aid workers overheard the Congolese peacekeepers torturing the two men throughout the night. Their mutilated bodies were found the next day and seen by many witnesses who confirmed that the two men suffered extensive burns and saw evidence that burning melting plastic had been dripped on their bodies. On February 26, 2014, Congolese peacekeepers in Mambéré killed two anti-balaka fighters known as “Palasie” and “Court Pied,” at the town’s main crossroads in front of a large crowd of onlookers. Witnesses interviewed by Human Rights Watch April 2016 said that Congolese peacekeepers told them the two men had been captured the day before in the village of Bambio. The residents buried the bodies in the cemetery behind the gendarmerie. On June 10, 2015, UN Congolese peacekeepers based in Mambéré detained and beat four men, two of whom later died from their injuries. Based on Human Rights Watch research conducted in April 2016, peacekeepers detained the men because of a dispute about a woman between a peacekeeper and one of the victims. Human Rights Watch found no information to corroborate that the men had been involved in criminal activities, as MINUSCA alleged in a news release on June 10. Three of the men – Alban Nambokinena, Kouvo Befio, and Douala Bakiko were neighbors. Witnesses said they were taken from their homes in the early hours of June 10 and severely beaten as they were arrested. I heard a knock on my door around 4 a.m. and I opened it. There were the MINUSCA in military uniforms with their blue helmets. At first I thought that maybe this was for some work so I went outside, but the MINUSCA grabbed me and started to beat me there in front of my house. At the same time, they pulled my neighbor Kouvo out of his house and started beating him too. They were kicking and beating us with their rifles. I knew that I had not done anything so I was yelling, “What did I do?” They were just beating me and speaking to each other in their own language. Together with a fourth person, Bernard Lamaye, the men were taken to the Congolese MINUSCA base at an area called “scierie” – a timber processing center – where the beatings continued for hours. When we arrived at the scierie, they really started to beat us seriously there out in the open. They did something they called “operation helicopter.” It was like this: four men would each grab a hand or leg. Then they threw us up as high as they could. We came down and landed on planks, they would kick us as we fell. They were trying to break our bodies. I did not really hear what they were saying because the Congolese were speaking between themselves. They weren’t asking questions. They did not interrogate us or tell us to admit to something, they just beat us. They gave me the “operation helicopter” four times. I can’t tell you how it hurt my neck, back, and head. After some time I did not feel any pain though. I thought my back was going to break in two, I really thought that was happening. Finally, when I could not feel anything, the commander said, “Ok, that is enough put them in the container.” This was maybe around 6 a.m. because the sun was coming up. The men were locked in an old shipping container. Within hours one of the men, Douala, died from his injuries. Another, Befio, fell into a comma. We started to cry. We called for the MINUSCA. A guard yelled, “Stop it! Don’t cry!” We said, “No, one of ours is dead!” The guard said, “If we open the door and we see someone is not dead, you will suffer.” But they opened the door and a MINUSCA soldier came in. He saw that Douala was dead. He saw straight away. The peacekeepers told hospital staff the men were thieves. Hospital staff and local officials said they recognized the men, knew them to be from Mambéré and did not believe they were criminals. Medical staff members said that Befio was in a coma when he arrived at the hospital. He died on June 14, 2015. The day after Befio’s death, MINUSCA flew the two survivors to Bangui, the capital and took them by MINUSCA ambulance to a local hospital. Local authorities gave each one 50,000 francs (approximately US $85). Under normal procedures, suspected criminals are transferred to Bangui by MINUSCA’s police force, UNPOL, at the request of national or local prosecutors and handed over to national authorities. In this case, the national prosecutor told Human Rights Watch he was not aware of any request from his office to transport the two survivors to Bangui. Once they recuperated, the men left the hospital. They were not charged or given any other assistance. “We were quickly forgotten,” one said. After a month in Bangui, the men ran out of funds and hitchhiked back to Mambéré. If I am accused of a crime let them come arrest me. It is the MINUSCA who committed a crime. I have not recovered from this. I have pain in my neck, back, and hips. I have tried to work, but it has been difficult because my job is to move heavy wood onto trucks. I now need to ask someone to take my place because my job was so physical and you need to be strong. I don’t have the money to see a doctor. When I make a little money I get a doctor to give me medicine which will give me the strength to move around. It is difficult to move around too much and I now get bad headaches. I think about what happened to me a lot. I am traumatized. When I see the Congolese in town I remember what happened. The population is still scared of the Congolese because of this. I have two children and my life has changed for the worse. I can’t feed my kids like before. I don’t have the strength to work as I did. I now make less than half of what I used to make because my health has been affected. 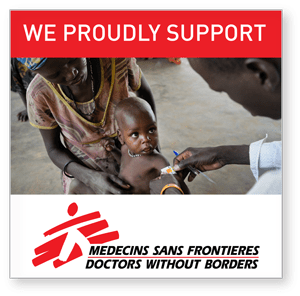 For all my troubles I was only given that 50,000 francs and I used it all in Bangui on medicine. Twenty Congolese peacekeepers from the unit in Mambéré were repatriated after these killings. 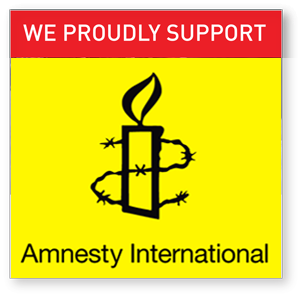 Human Rights Watch is not aware that any soldier has been held to account for the killings and serious beatings. MINUSCA investigated the incident in 2015 and sent the results to the government of the Republic of Congo via a diplomatic note. 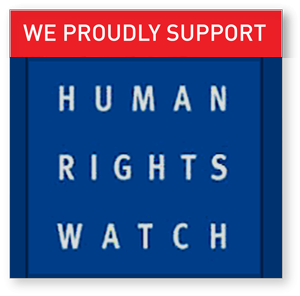 To the best of Human Rights Watch’s knowledge there has been no response. In April 2016 MINUSCA opened an internal investigation, known as a Board of Inquiry, into the incident. The Board of Inquiry will report on the internal procedures of MINUSCA and how the mission reacted. Human Rights Watch: Central African Republic: Murder by Peacekeepers.